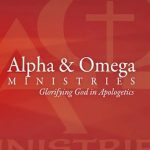 Alpha and Omega Ministries is a Christian apologetics organization based in Phoenix, Arizona. James White, director, is a professor, having taught Greek, Systematic Theology, and various topics in the field of apologetics for numerous schools. He has authored or contributed to more than twenty four books, including The King James Only Controversy, The Forgotten Trinity, The Potter’s Freedom, The God Who Justifies and What Every Christian Needs to Know About the Qur’an. He is an accomplished debater, having engaged in more than one-hundred sixty five moderated, public debates with leading proponents of Roman Catholicism, Islam, Jehovah’s Witnesses, and Mormonism, as well as critics such as Bart Ehrman, John Dominic Crossan, Marcus Borg, and John Shelby Spong. David Gushee Reviewed and Refuted James White responds to the “Reformation Project” and David Gushee’s speech about Gay marriage. Ergun Caner: One Man's Jihad Against Christian Evangelism of Muslims Video of Dr. James White discussing the evangelical cover-up of Ergun Caner’s transformation from ‘Butch’ Caner to ‘Ergun Mehemet Caner’ in this lecture given at First Baptist Church of Lindale, Texas. “Gay Christianity“ Debated James White and Justin Lee dialogue “Can you be a Christian homosexual” at the 2013 Reformation Montana conference. This is a FREE DOWNLOAD. “Gay Christianity” Refuted! A complete response to Matthew Vines. This is a defense of Scripture against the those who claim the Bible supports homosexual relationships. This is a FREE DOWNLOAD.